The XFL today announced that Bob Stoops, the “winningest” head coach in University of Oklahoma history, has been named head coach and general manager of the XFL team in Dallas. Stoops’ accomplishments during his 18-season (1999-2016) tenure at Oklahoma seem endless. No head coach has led the Sooners to more victories (190), consecutive bowl berths (18) and Big 12 titles (10), than Stoops. During the Bowl Championship Series era, Stoops was the only coach to win a national championship (2000) and every BCS Bowl Game. His OU teams also played in three additional BCS National Championship Games and made the four-team 2015 College Football Playoff. Stoops earned 19 Coach of the Year awards, including eight on the national level during his 18 seasons at OU. He reached 100 victories faster than any coach in college football history. Only five coaches needed fewer games than Stoops to reach the 150-win plateau (187 games). During his 18-year OU tenure, the Sooners led the nation with their .667 winning percentage (60-30 record) against AP Top 25 teams. Stoops produced 37 first-team All-Americans, two AP Players of the Year and 79 NFL Draft picks as OU’s head coach. 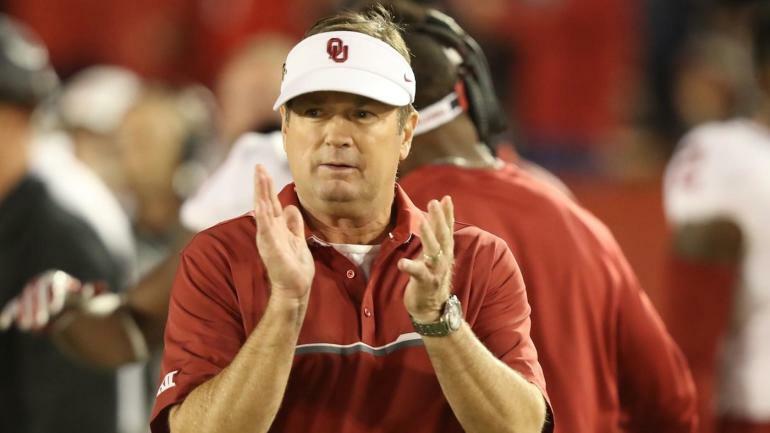 While there, he coached two Heisman Trophy winners (Jason White in 2003 and Sam Bradford in 2008) and seven Heisman finalists, as well as two more Heisman winners who earned the honour after his OU retirement (Baker Mayfield in 2017 and Kyler Murray in 2018). He also coached at his alma mater Iowa (1983-87), Kent State (1988), Kansas State (1989-95) and Florida (1996-98), where he served as defensive coordinator for the Gators’ 1996 national championship team. As a standout college player, Stoops was a four-year starter at defensive back at Iowa (1979-82) under coach Hayden Fry who gave him his start in coaching. He made honourable mention All-American (1982) and was a two-time All-Big Ten selection (1979, 1982). The XFL isn’t the only league starting up to fill the post-Super Bowl football gap. Starting this coming Saturday is the Alliance of American Football (AAF). A league that appears to have the backing of the NFL and looks set to try and capitalise on its one year head start. For more on how the league will compete, take a look at my assessment. ← JagTag comes to Manchester!